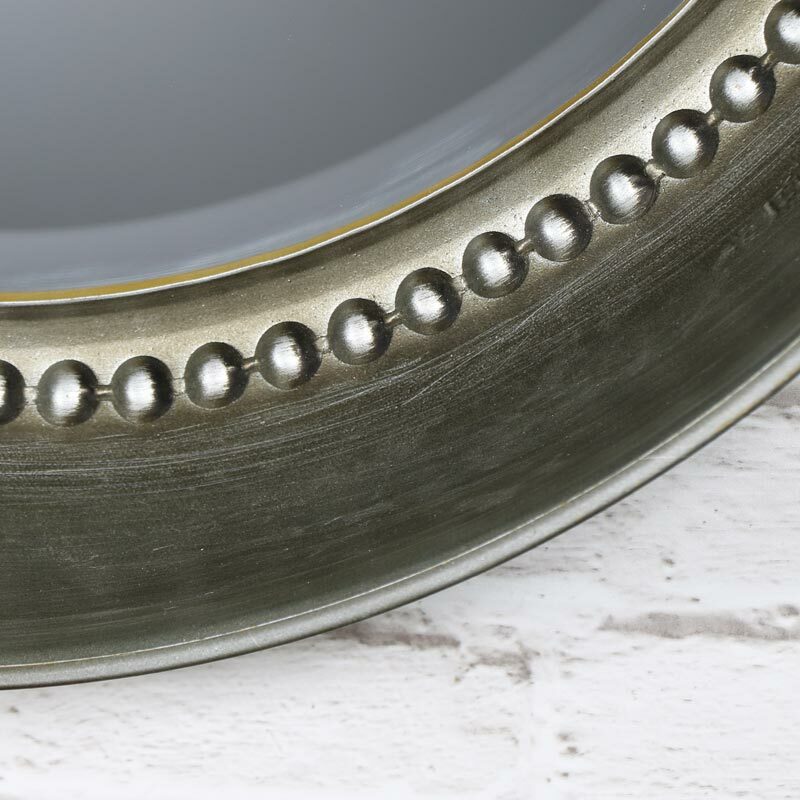 This large, beaded antique silver wall mirror is perfect for the hallway or living room. 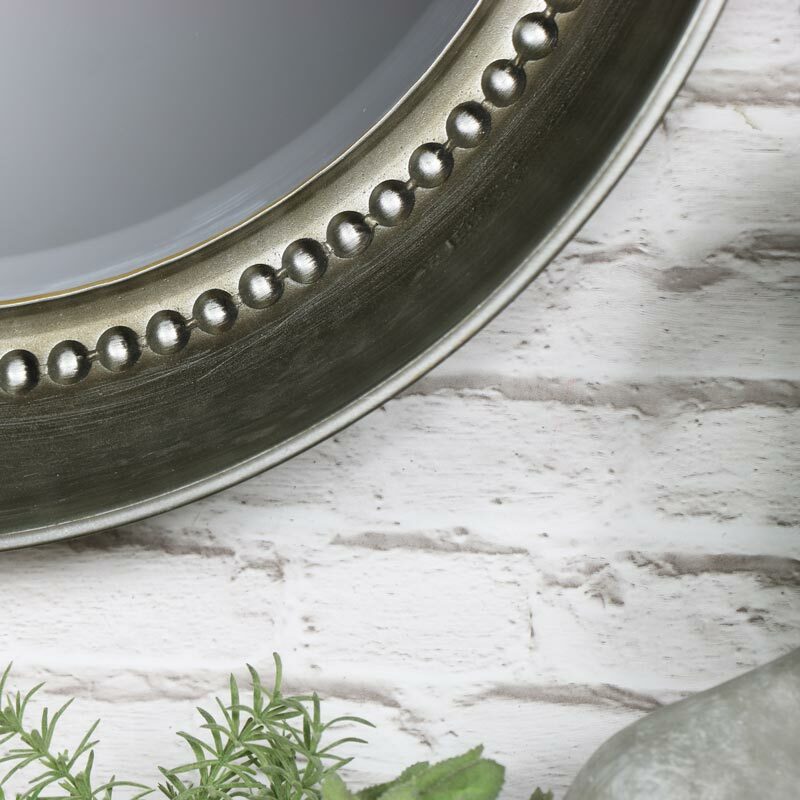 The bevelled mirror sits deep inside its stunning metal frame. Fitting for interiors both modern and traditional with its vintage effect and quirky dish shaped design. 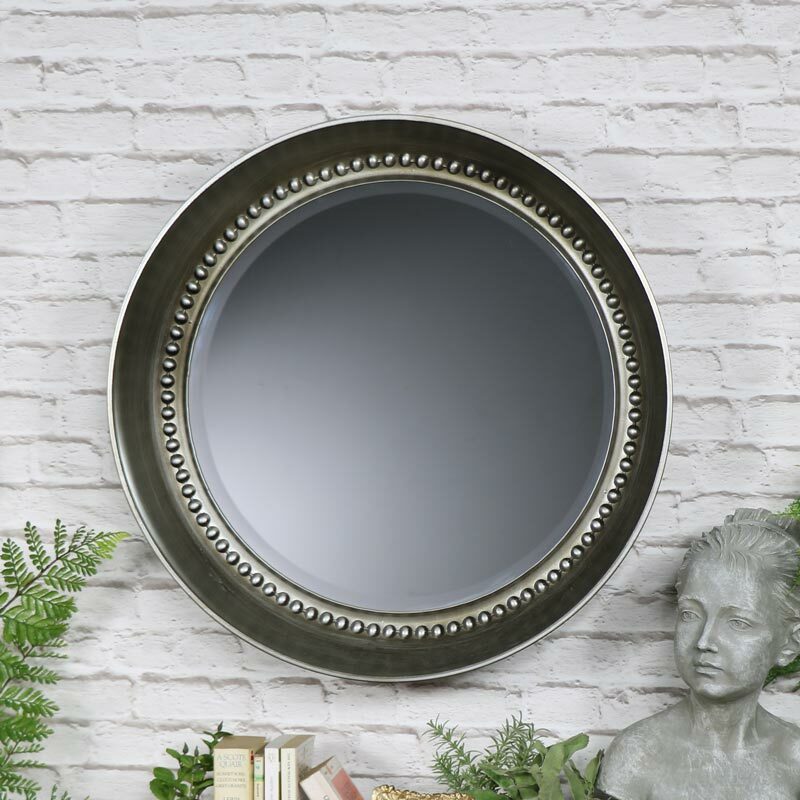 This mirror is also available in a smaller version and is a great statement piece. Easily wall mounted with a hook attached on the back. Metal frame with bevelled mirror.